A refreshing Indian setting - crazy office people, eccentric bosses and an unusual detective - and very relatable language. This story is intriguing and unusual and also laugh-out-loud hilarious. "Chicken soup for jaded corporate souls." "It’s a good antidote for the world-weary 30 something salaried slave – who looks for meaning in his job, and at the same time is afraid to give up the protective skin of being ‘cynical’ about work"
"Doesn't precisely fit into a genre like detective novel or office novel - a fun and frothy read. Don't buy it if you're looking for serious literature but if you're looking for a fun book to read on a boring flight, this is a good choice. 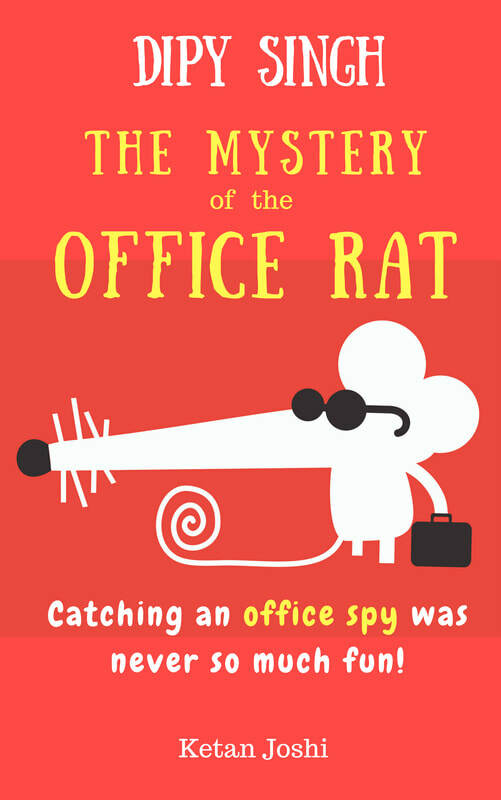 There's abundant doses of cynicism, some weird characters who you'll find yourself drawing parallels to colleagues in your office on and a light detective story." "Most office goers who're stuck in a 9 to 5 job and caught up in the daily rigmarole of reporting to people who seemingly have no idea what they're doing will identify with this book. This is a smart, witty read that captures the various oddball characters that one tends to meet in a large organisation. Beware, lots of office-humour ahead!" Doesn't precisely fit into a genre like detective novel or office novel but a fun and frothy read. Don't buy it if you're looking for serious literature but if you're looking for a fun book to read on a boring flight, this is a good choice. There's abundant doses of cynicism, some weird characters who you'll find yourself drawing parallels to colleagues in your office on and a light detective story. Throw in plenty of nostalgia for those of us who started our careers in the nineties and you have a pleasant hour to hour and a half.